Levelhead is an AR game based around three cubes. Each side has a marker that holds a little room within. 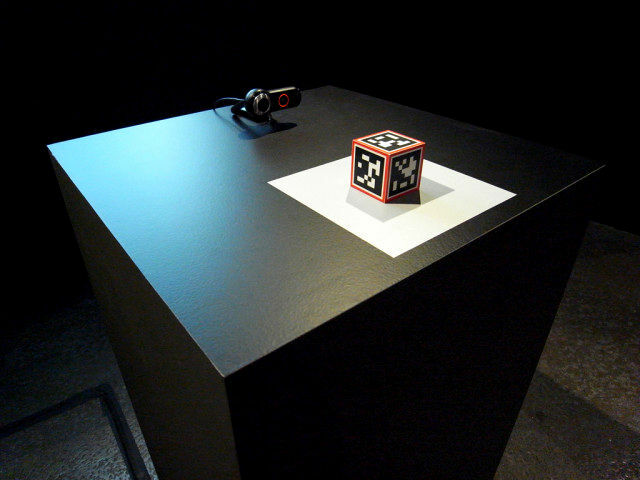 You tilt and turn the cubes to navigate a small character through them. The goal is to get to the final room. I really do like this game, I like the way that tilting and turning the cubes acts as the control mechanism. Whats even cooler about this project is that it is designed to be played in an installation/exhibition setting. 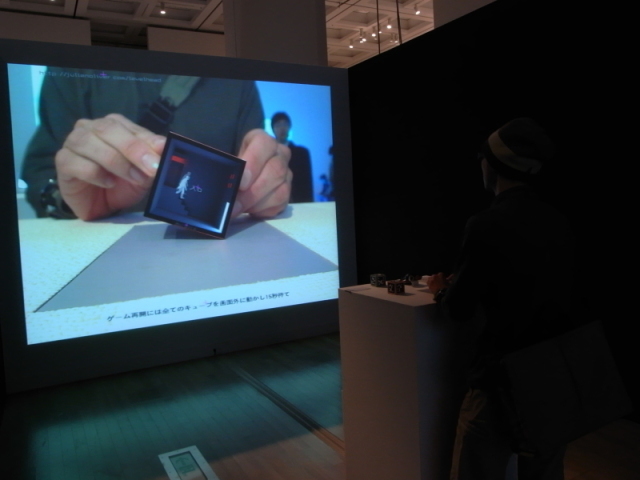 That was my mental hurdle, to be able to portay to people how to use AR in an installation setting. Well, clearly there is a way to do it. Especially when the setting is geared more towards a nerdy audience. It’s also great to see that this installation has been shown at a number of different places. This holds hope for me with my project, it shows that AR stuff is viable to be used as an interactive exhibit game thing, it’s just getting it shown is the problem. But the fact that it can be fills me with hope. It’s changed the way I saw my project being shown. I was envisioning a games cabinet type senraio, now, seeing how levelhead is shown, I think a huge screen and a specially made podium would be better. Let everyone see whats going on in huge-o-vision. I think, spending a bit of time working out how the stand bit would work and be used would be hugely beneficial. I want to take any traditional computer interface away and leave the user with markers and huge fun buttons to control things with and a huge screen to look at. I think having some sensors in the unit to detect human presence would be good too. Needs to know if someones walked away to be able to reset itself and put it into a main menu/show off mode. Yes, levelhead has made me think about how to display it in such a different way, I’m more convinced it will look great this way too.